TASS FACTBOX. On December 22-23, 2017, Moscow is hosting the 17th Congress of the All-Russia political party United Russia. The Congress is expected to outline the party’s 2018 priorities, make changes in its leadership, approve the basic voting scheme for the party’s primaries, as well as refine various party projects. United Russia, founded in 2001, is the country’s largest political party. It supports the policies of the Russian president and government. The party, which promotes centrist and conservative ideas, stands for strengthening the country’s sovereignty, increasing its defense capabilities, advancing the patriotic education of young people, enhancing investment, introducing innovative technologies, developing democracy and civil society institutions. Prime Minister Dmitry Medvedev is the party’s Chairman. The Unity bloc, Fatherland political and public organization and All Russia movement served as the basis for founding United Russia. On February 21, 2000, the Unity bloc was transformed into a movement, while on May 27, 2000, it turned into a party. Sergei Shoigu was elected as its leader, while Boris Gryzlov took the helm of the Unity faction in the State Duma (lower house of parliament). On April 12, 2001, the leaders of Unity and Fatherland, Sergei Shoigu and Yuri Luzhkov, announced plans to establish a united party. On December 1, 2001, the Union held its third congress in Moscow and was transformed into the All-Russia political party named Unity and Fatherland - United Russia. On January 31, 2003, the party was registered by the Russian Justice Ministry. Since its foundation, the party declared its support for Russian President Vladimir Putin. On September 20, 2003, the head of state for the first time attended the opening ceremony of the Party Congress. On December 24, 2003, the party was renamed United Russia. In 2007, at the party’s eighth Congress, Vladimir Putin accepted the offer to lead the party in the upcoming parliamentary election. At the same time, Deputy Prime Minister Dmitry Medvedev was nominated to run for president. On May 7, 2008, Prime Minister Vladimir Putin took the position of United Russia Chairman. Boris Gryzlov remained the head of the party’s supreme council. In September 2011, at the 12th United Russia Congress, then Russian President Dmitry Medvedev proposed to nominate Vladimir Putin for president and accepted the offer to lead the party in the parliamentary election. After Putin won the 2012 presidential election, Medvedev joined United Russia and was elected as its Chairman on May 26, 2012. The party currently comprises more than two mln members. All the regional branches of United Russia have supporter councils created "in order to ensure constructive interaction with the country’s citizens." 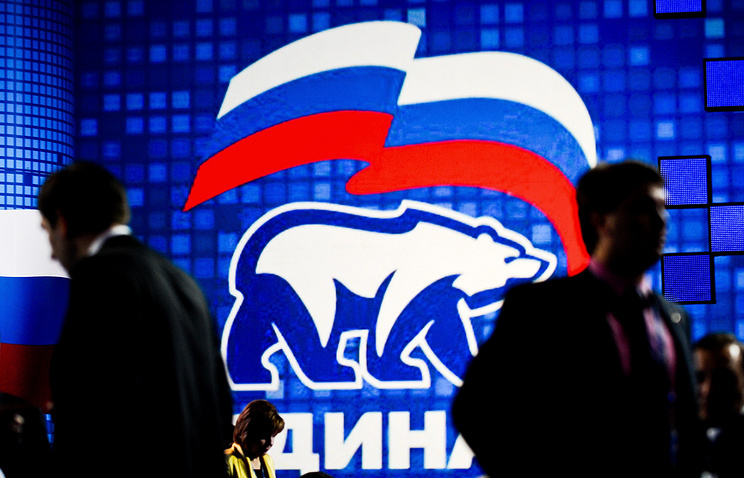 In 2005, the party established a youth wing named the Young Guard of United Russia, which comprises around 170,000 members. So far, the party has two times nominated its candidates to run for president, both of whom won the election race. On December 17, 2007, United Russia nominated First Deputy Prime Minister for president. According to the outcome of the election, held on March 2, 2008, he received 70.28% of the vote. On September 24, 2011, the 12th United Russia Congress supported Medvedev’s proposal to nominate Vladimir Putin to run for president. His nomination took place on November 27, 2011, at the second stage of the Congress. Putin came first in the presidential election, which took place on March 4, 2012, garnering 63.6% of the vote. United Russia has been a parliamentary party since 2003, it currently has the largest faction in the State Duma. In 2016, the party list received 54.20% of the vote, while 203 United Russia members were elected in one-seat constituencies. 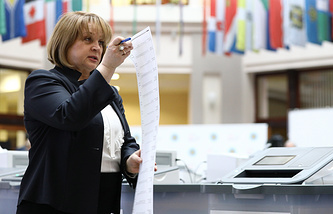 As a result, the party received 343 seats in the current State Duma, which is a record set for the first time in the Duma’s history, and once again ensured its constitutional majority. United Russia member Vyacheslav Volodin, the former first deputy head of the presidential administration, was elected to chair the State Duma.